If you have a deck of cards, you can have endless hours of fun. There are numerous solitaire games you can play, but if you have a group of friends with you, there are even more games you can play with these 52 cards. Whenever I would go camping with the Boy Scouts, especially on longer trips like summer camp or to Philmont, we found the weight of a deck of cards could entertain us night after night in a variety of ways. Even though there are plenty of games that can be played with a deck of cards, a few have entered into the collective mindset of our popular culture, becoming almost ubiquitous in terms of the general populous immediately knowing the rules of play. Consequently, some of these games easily lend themselves to gambling, which in turn provides room for drama. This week’s two films feature card games as part of their plot. Some card games aren’t necessarily based on the luck of the draw. Take blackjack, for instance. In films like 21 (2008) or Rain Man (1988), we see how an in-depth knowledge of the cards that have been played, combined with a knowledge of which cards remain, can result in some solid outcomes with sizeable winnings. While the drama of these card games comes from trying not to get caught by the casino, the drama in card games like poker comes with the people playing the game. While much of poker is determined by the luck of the draw, the human element of reading people’s reactions and being able to bluff effectively are what make this game a little more interesting. Of course, I’m speaking in the strictly theatrical sense of interesting, since most of the professional poker matches I’ve seen have been pretty boring. Based on the television show of the same name, Maverick (1994) follows the eponymous Bret Maverick (Mel Gibson) as he sets out to prove that he can play five-card draw poker better than anyone else in the world. Unfortunately, the tournament he plans to enter has a hefty entrance fee, so he sets out to collect on some debts to make up the difference. Since he is not the only person in town who wants to enter the tournament, he soon runs across rival poker players, Angel (Alfred Molina) and Annabelle Bransford (Jodie Foster). While Angel has his reasons for keeping Maverick from playing in the tournament, Annabelle teams up with Maverick to “earn” enough money for both of them to enter via a con involving a Russian Grand Duke. 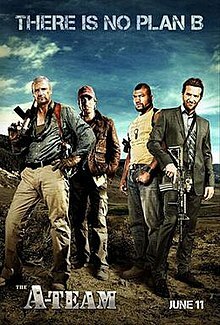 Once the cards are dealt, and the hands are played, four players remain, of which three of them are Angel, Bransford, and Maverick. Who will emerge as the victor? One of the problems with so many different types of card games is that, inevitably, there are some which are less well known, and thus much more difficult to find someone to play with. Of course, much of this has to do with the unyielding march of time. In the past, many card games were well known because it was all that people really had for in-home entertainment. With no internet, video games, or smartphones, these people learned how to fully use a deck of cards. This is why, when Casino Royale was first written by Sir Ian Fleming, the card game James Bond played was Baccarat. 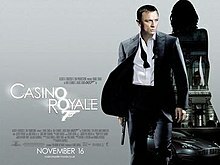 When the film was rebooted in 2006, the film version of Casino Royal featured Texas hold ‘em poker, itself a variant of the poker featured in Maverick but used mostly due to its cultural popularity at the time the film was released. Through a mission in Madagascar, James Bond (Daniel Craig) follows a trail of clues that leads him to the Bahamas and eventually Miami, where he foils a plot to destroy an airliner built by Skyfleet. Since this plot was meant to double the investment of black market financier, Le Chiffre (Mads Mikkelsen), Bond’s interference forces Le Chiffre to organize a high-stakes Texas hold ‘em tournament in Montenegro’s Casino Royale. MI6 sees this as an opportunity to capture Le Chiffre and obtain information about his creditors by bankrupting him through the game, which itself requires $10 million to even sit at the table. While Bond takes an early lead, he eventually loses everything and must scramble to find a new financier. Luckily for him, he gets an infusion of funds that he uses to win everything, but at the cost of his immediate safety as the action ramps up to an exciting conclusion.